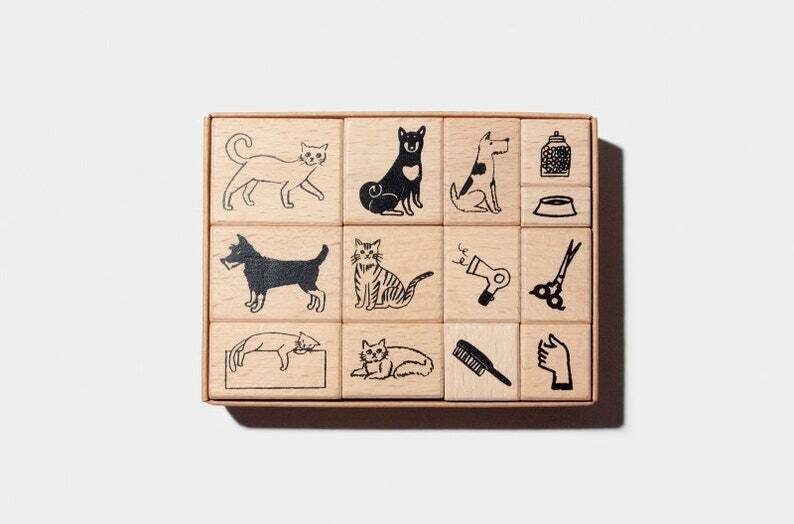 This rubber stamp set is a collaboration between TTLB and illustrator Naho Ogawa. Stamps are small illustrative works grouped in a theme. Stamps are stored in a convenient kraft paper box tray. A great way to add some detail to your paper projects. There are 12 stamps in total. This was the only store in Toronto that has this refill in stock, so I am very happy to have found Paper + Cloth! The package with all my other items were lovingly wrapped with a handwritten note addressed to me in beautiful script. This is my new favourite stationery store! Thank you so much for your loving care and having such a wonderful shop.